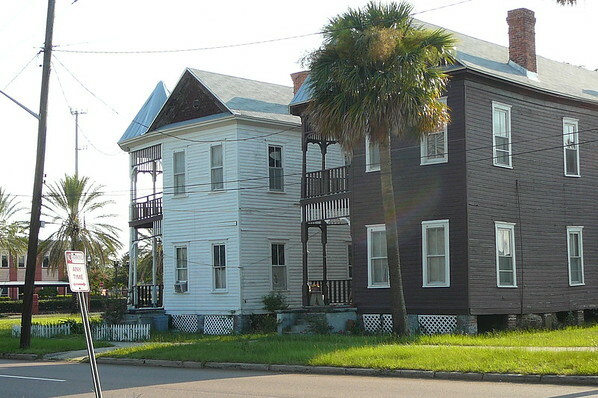 Forced to live in tight communities in Europe, early Jewish immigrants established a similar tight knit community in LaVilla between the 1880s and 1920s. Most early Jewish settlers came from Germany and later from Eastern Europe. They landed in the north - Canada, New York, Baltimore - and trickled southward looking for a warm climate, business potential and religious freedom. Most of them were peddlers who came with nothing more than packs on their backs. As they turned their packs into businesses and saved a little money, they sent for their families. 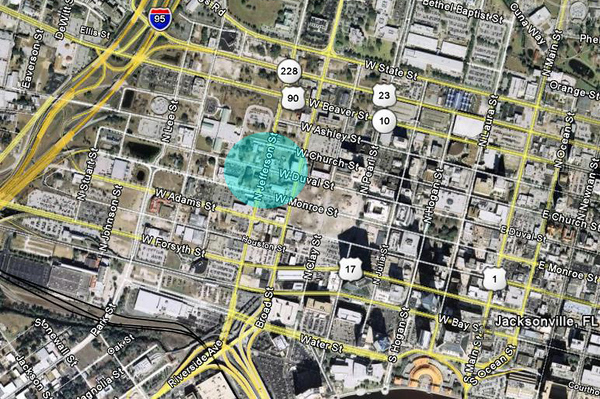 The location of LaVilla's lost Orthodox enclave highlighted in blue. The pogroms of the 1880s and 1890s in Russia and Poland brought the first wave of Eastern European Jews to America. Harry Goldman peddled his way to Jacksonville shortly after the yellow fever epidemic of 1888. 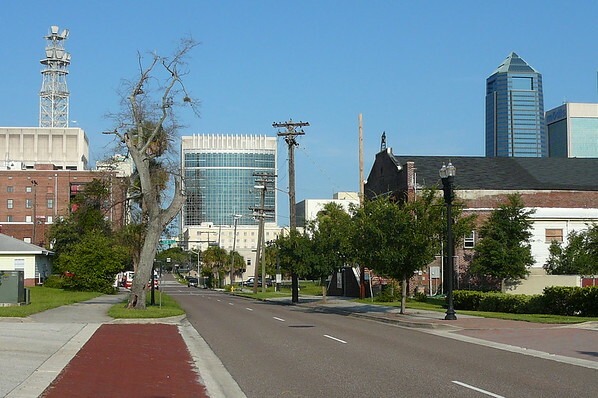 He was from a small town in Lithuania called Pushalot, and he wrote home telling others about Jacksonville. Singly and in families, the Pushaloters came, among them Gabriel and Sarah Finklestein and their nine children. In Pushalot, they were denied formal education and were treated as second class citizens. Gabriel was a peddler and a tailor; Sarah stayed home with her large family and opened her doors to any and all who came. Their home on West Adams Street became a mecca and a social center for the young Orthodox Jews who sought companionship. When a Pushaloter became established, he contributed nickels and dimes into a pushka, so that others might be sent the $10 steerage fare. LaVilla, the section of town where the Finklesteins lived, became the central area for the Orthodox community. 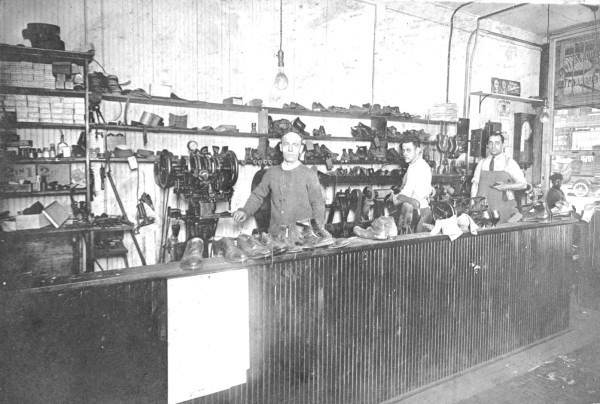 Merchants, tailors, shoe repair shops, stores and markets sprang up on Broad Street. In 1901, they formed the nucleus for an Orthodox congregation, B'Nai Isreal. This is the group that, in 1905, invited a young "schachot", to Jacksonville to open a kosher market. His name was Benjamin Safer, and he served as the religious leader of B'Nai Isreal until a rabbi was engaged in 1919. The original Orthodox congregation was B'nai Isreal (Sons of Isreal) shown above. 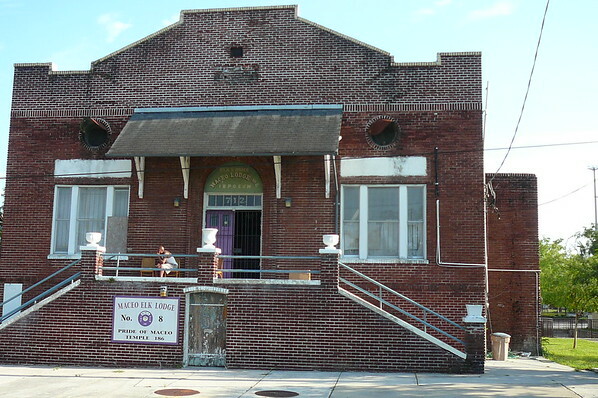 They were chartered in 1905 and in 1909, dedicated their Synagogue at Duval & Jefferson. This structure was replaced by Springfield's, Jacksonville Jewish Center, in 1927. It was demolished in 1975. Did You Know? : Eiselstein, Finkelstein, Glickstein, Greenburg, Haimowitz, Herskovitz, Hirsch, Kantrowitz, Liebmann, Moscovitz, Rosner, Rosenberg are samples surnames of residents in LaVilla's tight ethnic enclave? In 1927, the original Orthodox congregation relocated to Springfield. 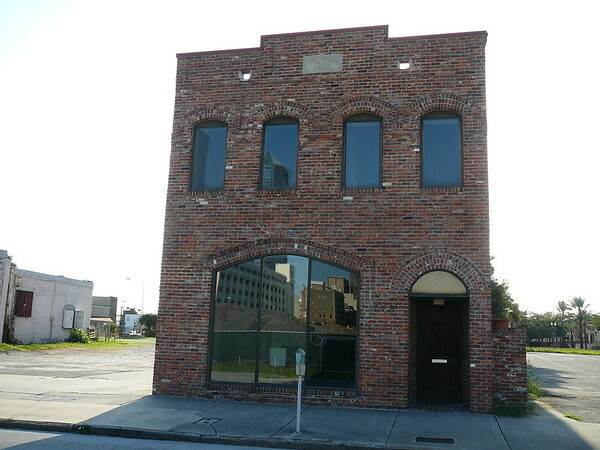 The new Jacksonville Jewish Center (currently identified as the former Job Corps Building) was constructed overlooking Springfield Park at 3rd and Silver Streets. 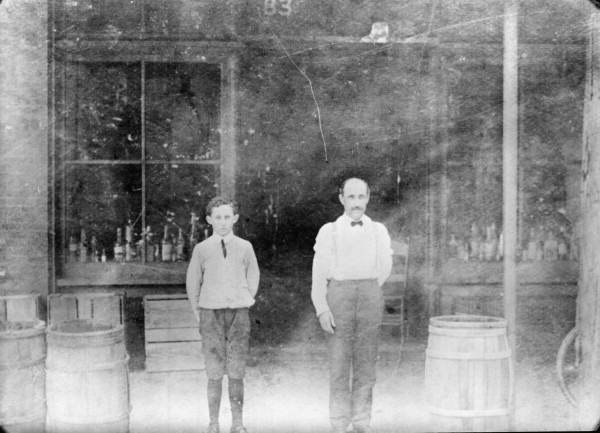 By 1928, LaVilla's Jewish population began to relocate to Avondale and Springfield. The final nail in the coffin was the relocation of the Young Men's Hebrew Association to Springfield in 1932. Soon this area would become a part of what became known as the Harlem of the South. 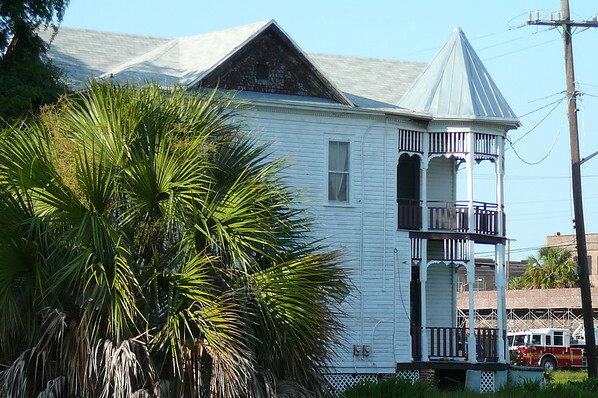 Today, the Young Men's Hebrew Association Building (Maceo Elks Lodge), is the oldest building still standing in Jacksonville of significance to the Jacksonville Jewish community. 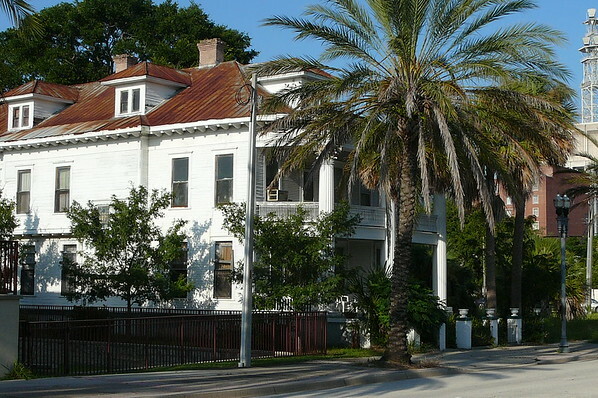 Completed in 1914, it along with the B'Nai Israel Synagogue, was the epicenter of LaVilla's Jewish community. The Y.M.H.A. relocated to Springfield in 1932. In 1945, the structure was sold to the Maceo Elks Lodge, which still occupies the building today. 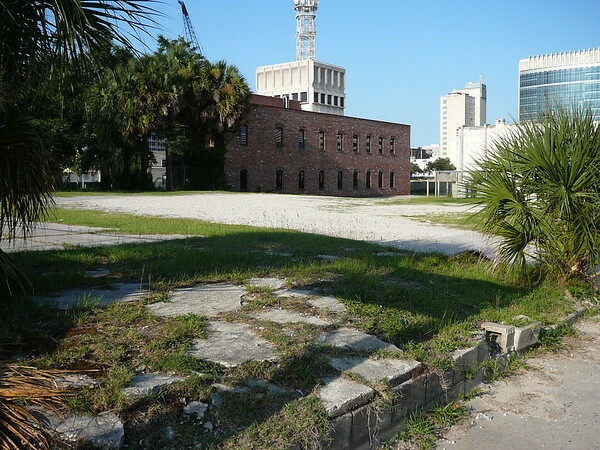 After years of continued demolition in the area, not much physically remains of one of Jacksonville's early ethnic districts. Outside of Broad Street, only three houses and the Y.M.H.A. buildings remain. 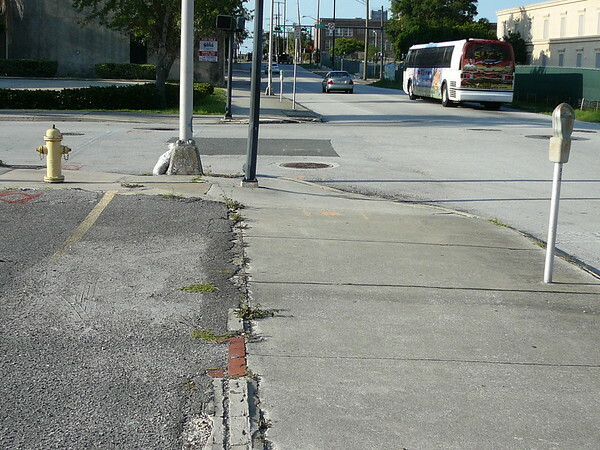 Located on the same half block, all appear to be in need of significant repair. 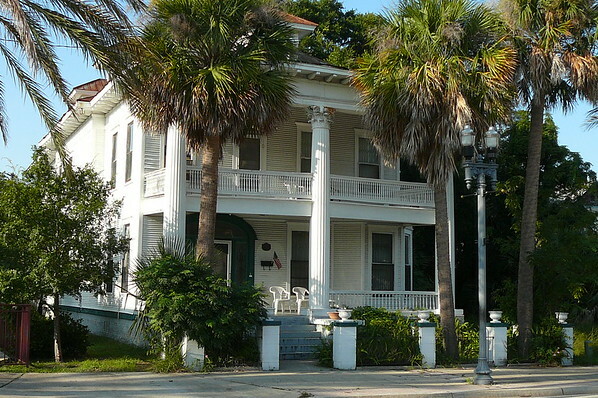 725 West Monroe is the last of what was a row of impressive residential structures along Monroe Street. Fire Station No. 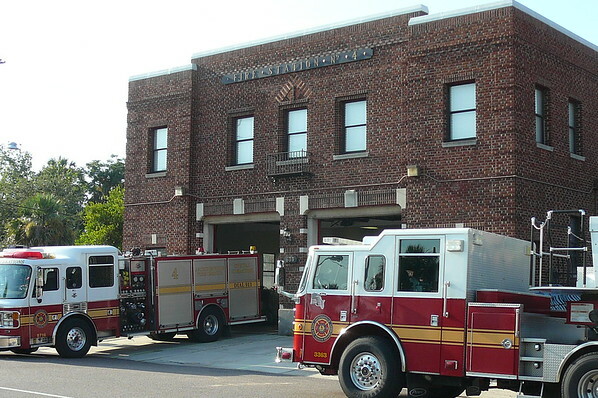 4 replaced a nearby fire station in 1944. 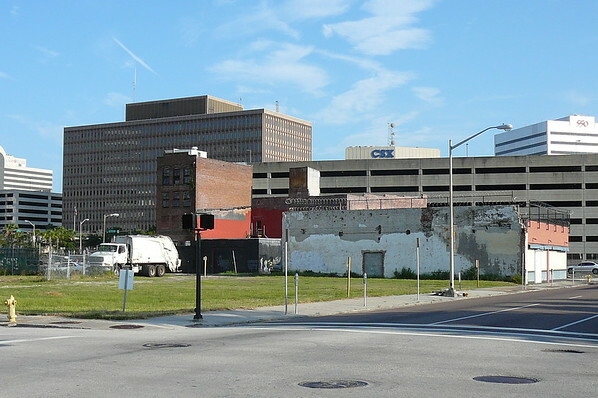 Downtown's skyline can be seen behind what was once the location of the Schumann Printing Company. A century ago, it was the home to a flourishing commercial district catering to the nearby self sustaining Jewish community. 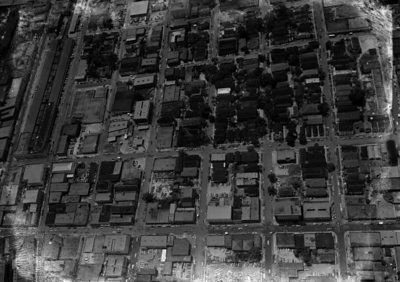 This aerial captures the commercial building density along Broad Street (lower half of image above) in the early 20th century. Today, Broad Street is dominated by a few older structures, foundations of their neighbors, swift moving traffic, courthouse construction and soon, bus rapid transit. E.C. 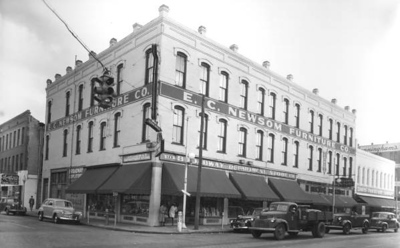 Newsom's Furniture shop (above) on the corner of Adams & Broad is now a vacant lot (below). 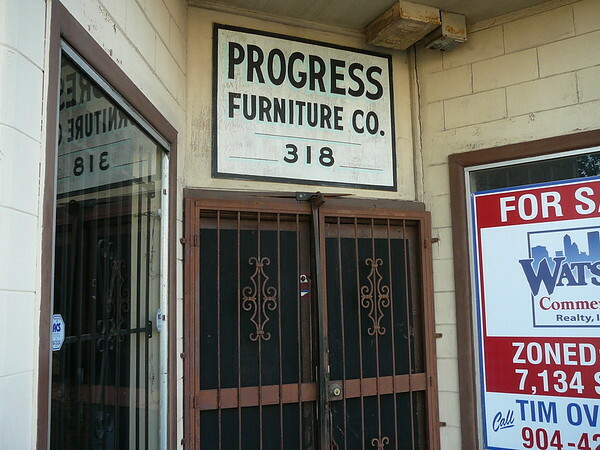 In 1920, this building housed a dry goods store owned and operated by David and Jos Moscovitz. David Moscovitz lived next door to 725 West Monroe at 715 W. Monroe Street. 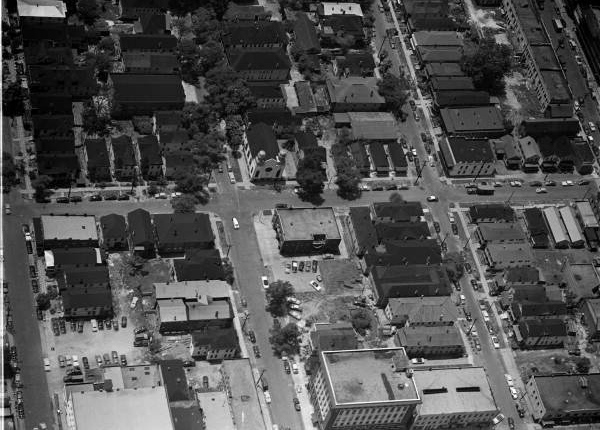 The Moscovitz house and others along that block have since been demolished. 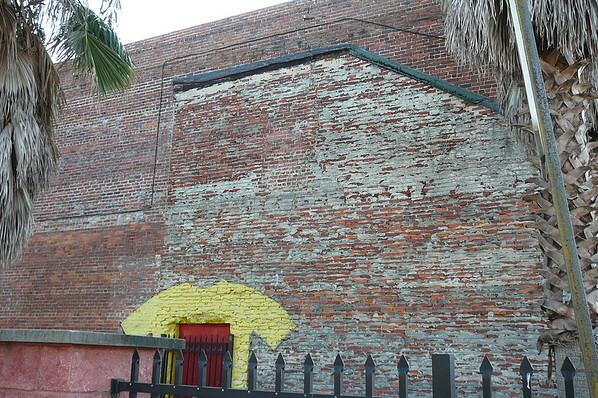 Located behind Worman's, this decaying foundation is all that remains of the Julius Greenstein residence. The vacant overgrown lots above were once home to residences owned by Abraham Cohen, Morris Herskovitz and Morris Moscovitz. Mr. Moscovitz, along with Leonard Moscovitz operated M&L's Ladies Furnishings at 220 Broad Street (below) in 1920. This (above) is all that is left of the Moscovitz family's M&L's Ladies Furnishings at 220 Broad Street. 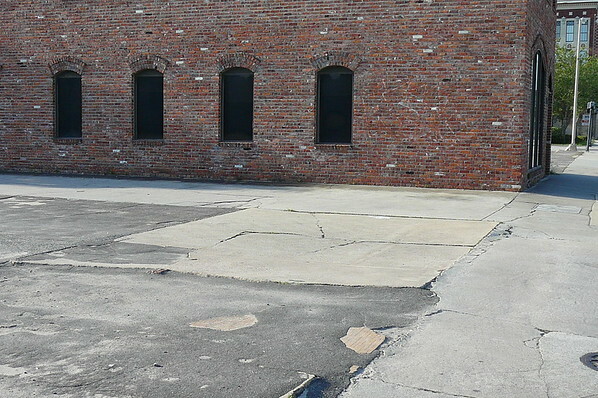 The parking lot in the background is constructed on top of the foundation of Julius Moskovitz's grocery store at 310 Broad. 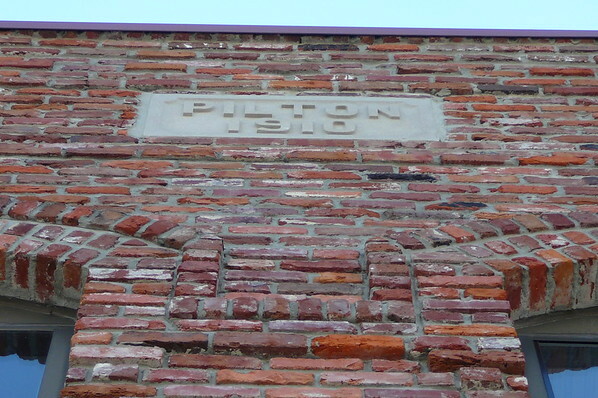 Constructed in 1910, the Pilton Building is one of the last remaining historic structures along Broad. 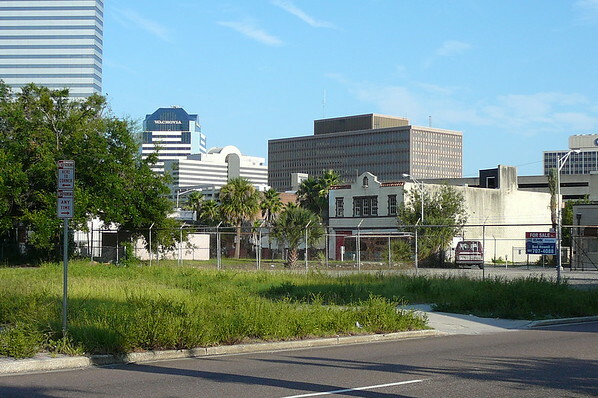 Across the street from the courthouse site and owned by the LaVilla Development Group (along with half of the block), it may soon join the ranks of the demolished. 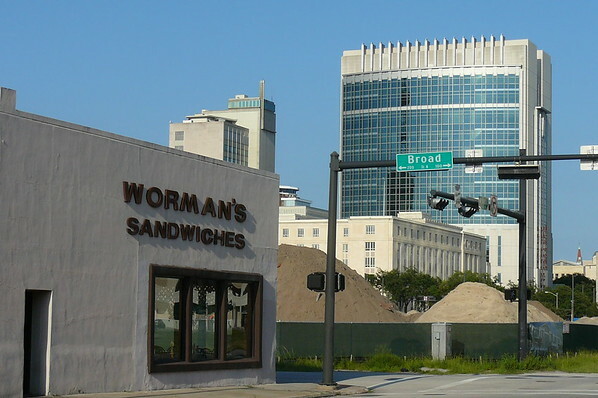 What was once a block of retail stores serving the nearby community, now serves as parking for Worman's Bakery & Deli. Originally known as the New Star Bakery in 1923, Worman's "Kosher-style" bakery and deli has operated at this site since 1938-39. 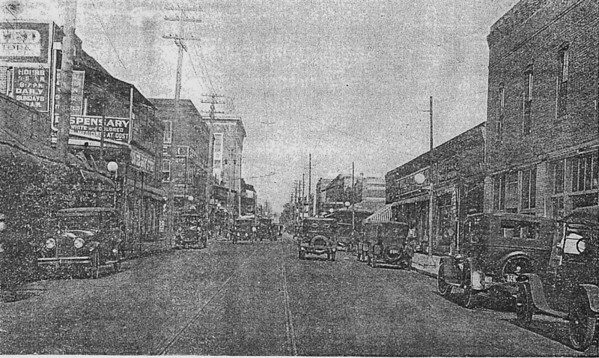 However, the building has stood on the corner of Adams and Jefferson since 1909. This wall indicates where the stairwell of an adjacent building was located. 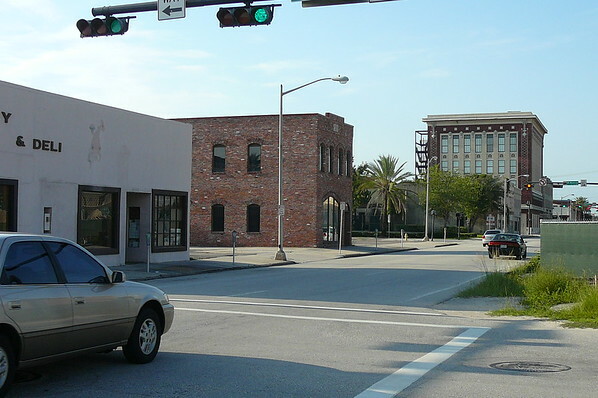 The block of buildings that once housed the Gold Eagle Grocery Company, Fowler Produce Company and Dollar Supply Company no longer exists. 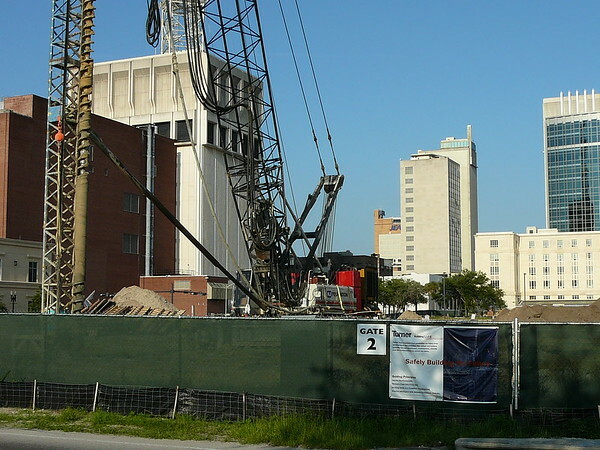 It will soon be the new home of the Duval County Courthouse complex. 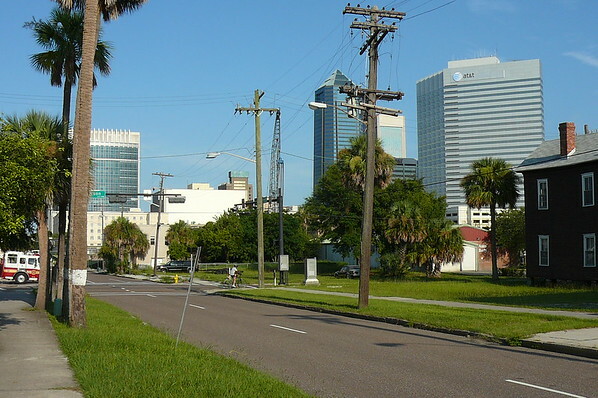 Today, Jacksonville is not known for having ethnic enclaves. However, when it comes to our history, there is more than meets the eye. 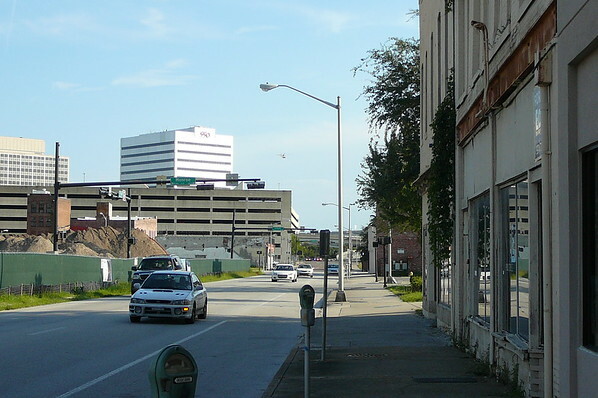 As Jacksonville continues to grow and recreate itself, residents and city leaders should work hard to preserve the things that make our region unique.